Live one day at a time. Do not sweat about tomorrow. 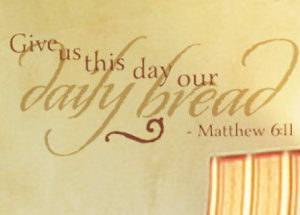 Be thankful for today. 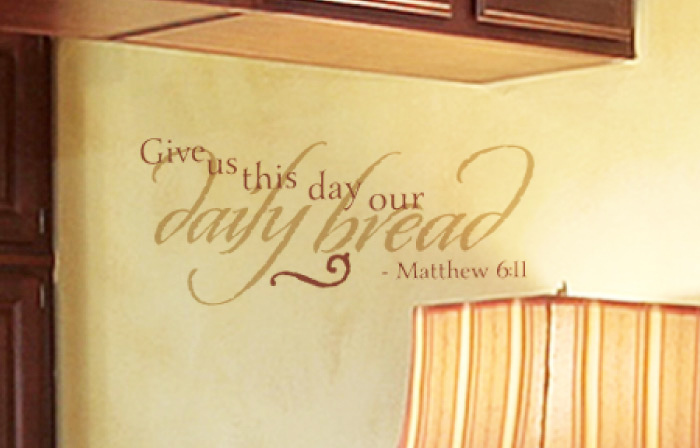 That is the message behind Matthew 6:11 ‘give us this day our daily bread’. When we do this, we are likely to be less stressed and more appreciative. 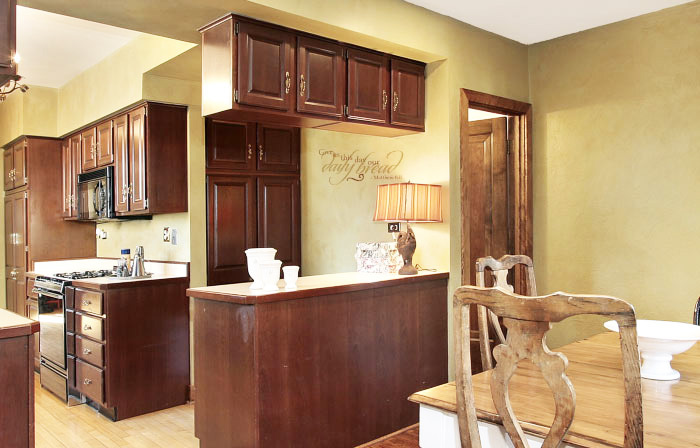 The wall letters in this kitchen are visible from the breakfast nook. They are above the eye-level, between a row of dark kitchen wall cabinets and an orange lamp shade. A single wall embellishment at the end of the verse gives it a stylish look. These wall quotes are easy to put up and you do not need to be an expert. The 18-inch wall decals as this one are best on walls that have little or no wall décor. They come in a variety of colors, styles, and sizes and have lots of flairs. They can hold their own! 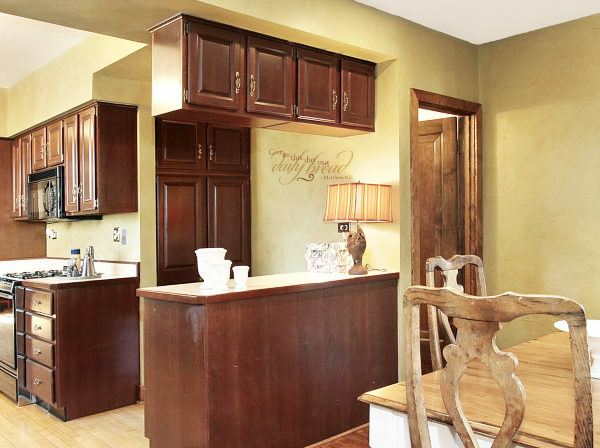 This is a cozy cooking and dining area. No doubt, the diners will have a prayer of thanksgiving as they dig in. The white bowls on top of the dining table and countertop are just the thing to brighten up the room. 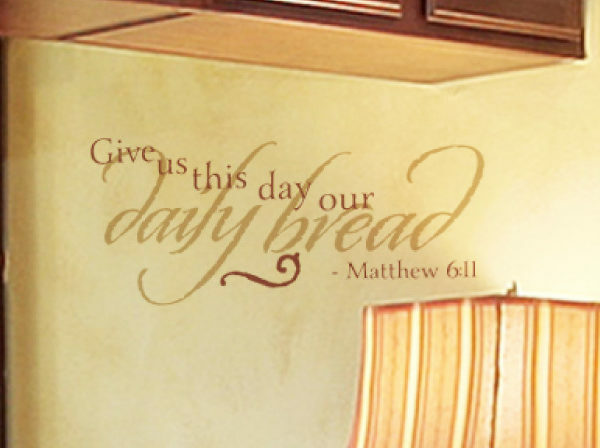 The host looking to encourage family and friends to steer clear of wastefulness will not go wrong with this scriptural wall lettering.